Healthy Eating. Our household has been on a healthy eating kick, and I have been loving the positive feedback on Instagram from readers about the new recipes I’ve been sharing. Healthy eating isn’t my area of expertise (I would say Rice Krispy Treats is my area of expertise), so getting the thumbs up on these cooking experimetns has been exciting! The one-pan roasted shrimp and veggies has been very popular; lots of you made the sausage and cauliflower stuffed peppers, and the crispy panko brussels sprout pasta was a favorite too! Gingham for Spring. My mom bought Jane a pink gingham rain coat that is melting my heart (similar one here), and I have decided this spring is going to be painted in all things gingham. I’ve been eyeing some gingham pieces for myself for spring: an Old Navy dress, some darling gingham bow flats, and pink gingham sneakers that I think I’d wear daily! Not to mention gingham at home, I think these appetizer plates would be perfect for Easter and then again for the Fourth of July! Reading List. I skipped the New Year’s Resolutions this year, but did make a few small goals for myself that I’ve been having fun tracking in a new app called Done. One of the goals that I’ve been tracking well on is to read 2 books a month this year. I’ve been on a huge Nora Ephron kick and just finished I Feel Bad About My Neck and Crazy Salad (I also just watched When Harry Met Sally for the first time because of this). On the other end of the reading spectrum, I balanced out my Nora Ephron laughs with an absolute ton of tears in the beautiful book When Breath Becomes Air. An absolute tear-jerker, but one of the most beautiful, introspective, and thought-provoking books I’ve ever read. 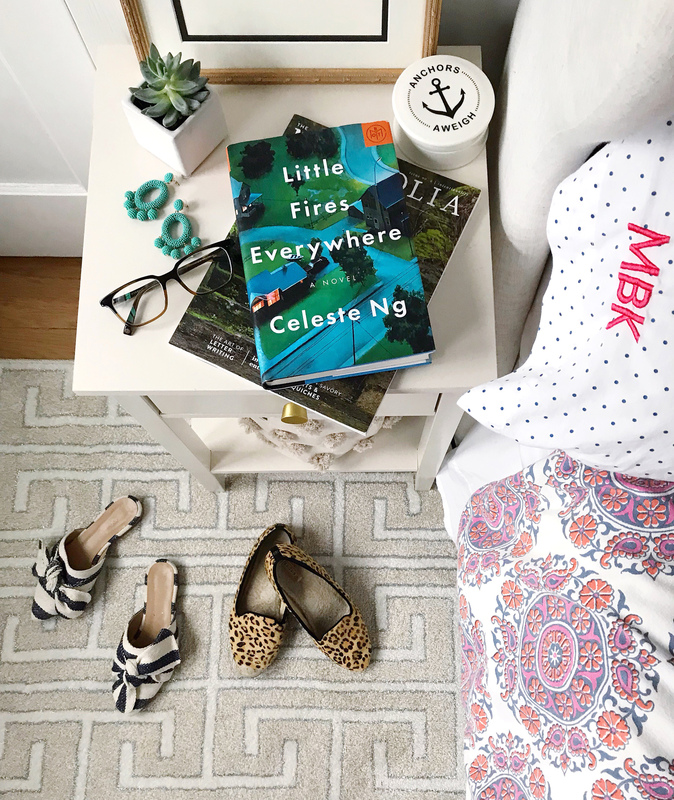 Up next on my reading list is Little Fires Everywhere, which I just borrowed from my sister! My Top 15 Favorite Kitchen Tools. Linen Closet Makeover. One Response to "The Download – 02.16.18"
Isn’t When Harry Met Sally such a good movie? Haven’t watched in years and now I think I need to since you mentioned it! When Breath Becomes Air was definitely a big tear jerker for me too!